Over the years I have visited many theme and amusement parks including those that feature a safari like experience. 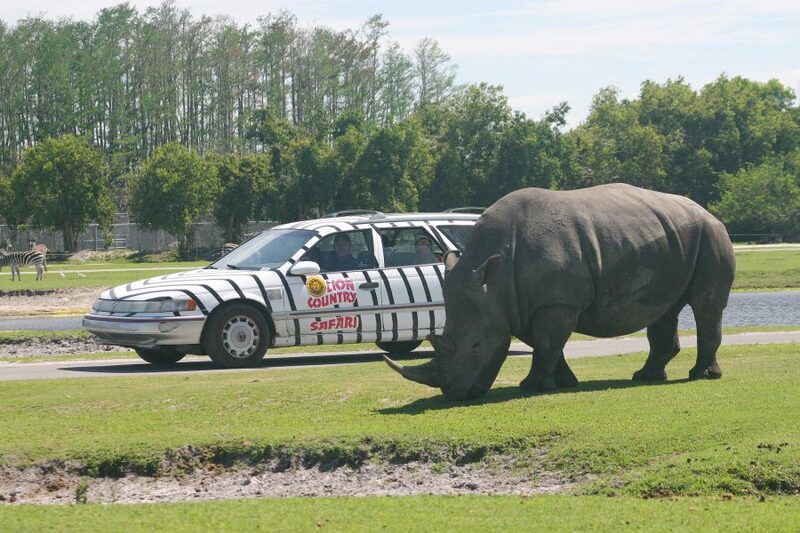 The one that I love to visit when ever I spend time with my son’s family in Florida is the Lion Country Safari. In December 2014 we were fortunate to once again have an opportunity to visit the Lion Country Safari. The park is located in West Palm Beach, Florida. My son, also an IPA freelance photojournalist, lives in Palm Beach Gardens, so the Lion Country Safari park was a short ride from his home. Unlike the many other attractions in Florida that could take hours to reach this was only 20 minutes from his Palm Beach Garden. Our grandchildren, Lia 3 and Cole who hadn’t reached his first birthday were eager to go. I of course love to visit these parks all around the world and report on them for our 4 online publications. We also love to share our videos with the millions of people who have viewed them on YouTube. 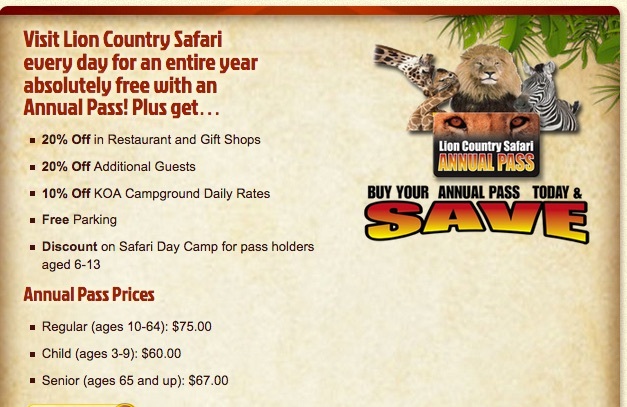 The great thing about Lion Country Safari is the many options you for the entire family. Be sure to pack bathing suits, some snacks and plenty of water. On our arrival we opted not to visit the drive through Safari Park this time. We decided do visit the park first and if time permitted we would ride through the park at the end of the day. 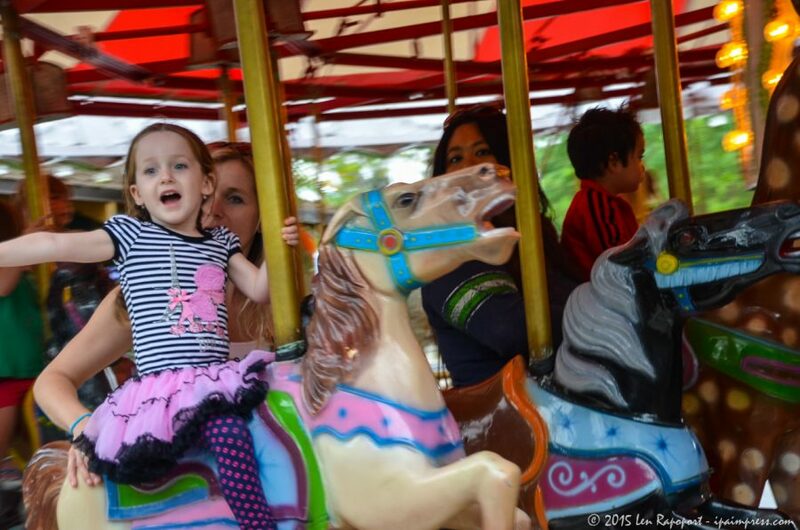 We knew Lia and Cole were still very young, but Lia couldn’t wait to see the animals. She was excited about the water park and the rides too. Cole was just happy riding in his stroller and watching all the activities. For those that would choose to drive through park, I would recommend doing that first, unless the wait is too long. They offer an audio CD which is informative and explains a bit more about the animals you will see on your ride. In the future they will probably be able to do this on your smart phone or in your cars radio. As you drive through the park you will see ostrich’s who might even come up to your window,. There may be rhinos blocking or crossing the road too. The children will love seeing the animals although they are no longer roaming free in the park as they were in the past. Because of safety concerns, and potential damage to ones vehicle, this has changed. However you can still enjoy the tour of the safari park and it is included in the cost of your admission, so do it if you have the time. Begin your Safari World tour with a boat ride on the Safari Queen, where you will learn about the siamangs and spider monkeys that inhabit the islands of Lake Shanalee or, if you prefer, do your own navigating on the paddleboats. Enjoy our newest attractions: panning for gems and stones or sliding down the Fun Slide. Bring your bathing suit to cool off in Safari Splash, with 23 interactive water functions (open daily). Play a round of miniature golf, tease your brain with a trip through our maze, or take a ride on the carousel, the El Paso Train, or our flying elephant ride. You can also enjoy the opportunity to interact with our lories at the Lory Feeding Aviary, our giraffe at the Giraffe Feeding Area, and our sheep or goats at the Petting Zoo. The park offers a number of animal shows for the entire family. 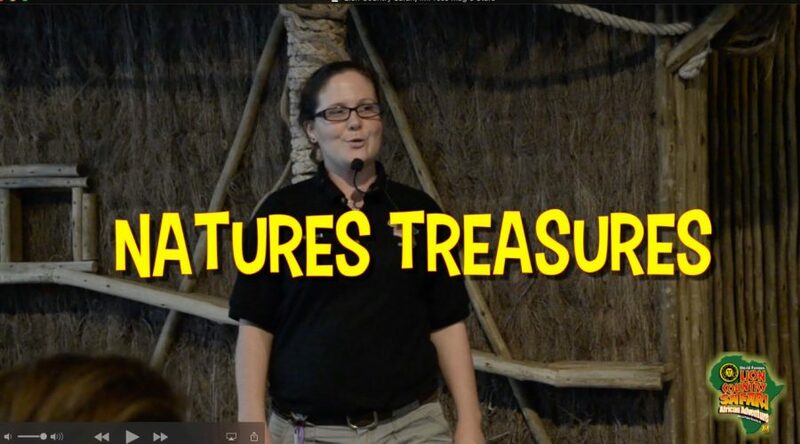 We went to the Natures Treasures Show where we not only learned about the animals we saw, and enjoyed them performing. You will see it all in our video. The show is a must and they have 4-6 different shows and presentations daily. I think for us and the children feeding the giraffes was the highlight. 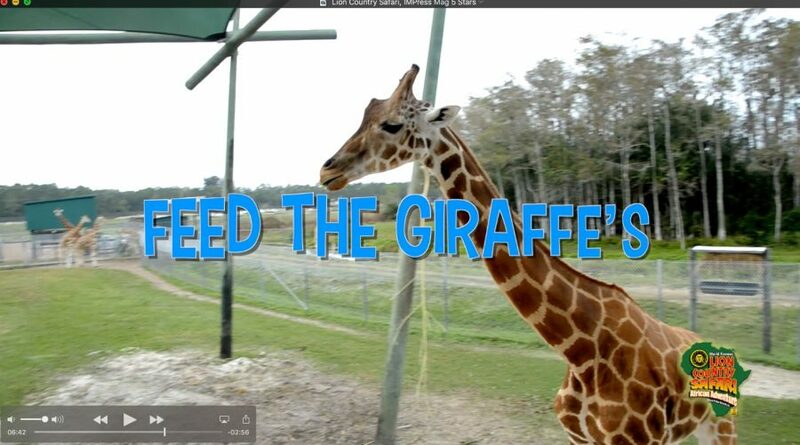 As you will see in our video, they sell leafs of lettuce to feed the Giraffe’s and they will come up to you to eat it out of your hands. You will be amazed at the length of their tongues. I now understand how they can reach up high to grab leaves off trees in their native habitat. Of course you can also fee the fish, birds and goats there too. Now a great park for the family should have rides for the children and of course would be nice to have a water park. Well Lion Country Safari won’t let you down, they have both. 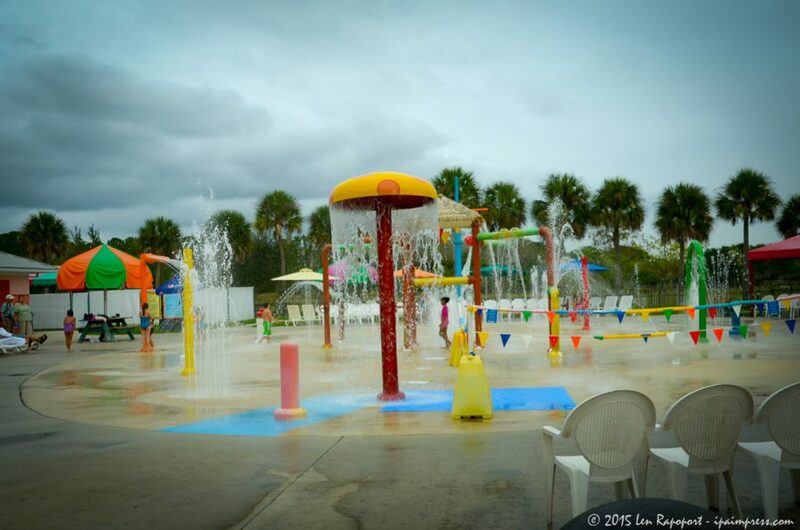 There are 2 water slides, a fun slide, carousel, flying elephant ride, toddler train, and carousel. But that is now all, they also have paddle boat rentals, pontoon boat tours, mini golf, a Safari Splash Water Sprayground, a Safari Maze too. The water park was great fun, except for me, I was the one with the camera gear shooting the photos and videos. Lia and Cole, mom and dad, and grandma had a great time. It was really hard pulling the children away from the water . We had to convince them that when their fingers wrinkled it was time to get out. Now admission can be pricey if you come with a large family, but they do offer discounts that may be readily found on the internet or on their website, some as much as 50% Off their regular rates. Florida residents can save even more with their Annual passes. There are other small fees for options like Feeding the Giraffe’s and other opportunities, but most are only $2-$2.50 per person. You must understand that caring and feeding just about 900 animals and the cost to maintain animal displays and encounters, animal feeding experiences, rides, water sprayground, costs millions each year. Compare this to parks like Disney World and others, they are right inline with where they need to be. 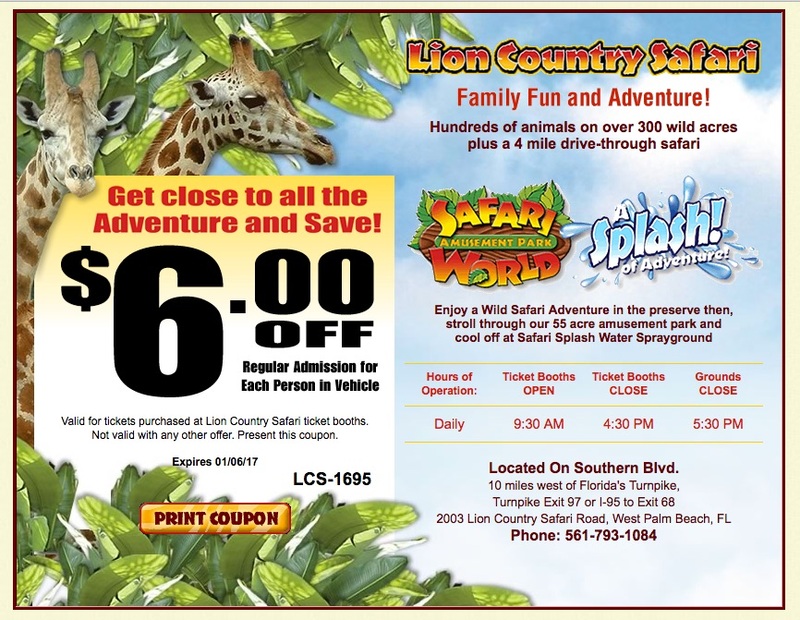 If you are a Florida resident or a visitor on vacation we guarantee you will have a memorable experience at Lion Country Safari. Plan your day before you go and get started early so you have enough time to get a taste of everything they have to offer. Be sure to pack sun tan lotion, especially for the children and some light snacks. As you will see our little ones loved the funnel cake covered with a mound of powdered sugar, yum. The park is open 365 days each year…Download their brochure here. Visit their website for further information and costs. They recommend guests bring the following items: camera, binoculars, comfortable shoes, swimsuit/towel (for the sprayground), sunscreen, hats and sunglasses. Unlike many parks, Lion Country Safari allows guests to bring their own food and dine in the many picnic and eating areas around the park. For more info and answers to questions visit their FAQ’s page.